Savings are important, of course, but what singles out GOV.UK as unique in government is the fact that it has been created putting its users’ needs at its heart, not the needs of government. It has been planned, written, organised and designed around what users need to get done, not around the ways government want them to do it. 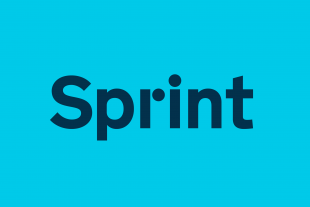 The build of GOV.UK was guided by this principle at every step, and as a result delivers a service that is simpler, clearer and faster for users. Being built and tested in public meant that we could take the views of real users into account and feed them into successive improved versions. The release of GOV.UK is a key element in the Digital by Default agenda. Digital by Default aims to transform public services online – making them better and cheaper for taxpayers and more effective and efficient for government. This approach was reaffirmed in the Civil Service Reform Plan, which we published in June. In it we set out a series of practical actions which will help make central government smaller, faster, more unified, more accountable for delivery, more commercially capable and more digital. In the way it has been built, and will be continue to be updated and improved on the basis of experience and user feedback, GOV.UK is an example of how the Civil Service should keep continuously changing and improving and remain focused on outcomes. The public wants services to be delivered better – and today we are responding with a digital platform that will make services quicker and easier to use, and produce efficiencies for government. Mike Bracken, head of the Government Digital Service, and his team, who built GOV.UK, are to be congratulated on delivering this key milestone in the Digital by Default agenda – though much remains to be done if we are to achieve the fundamental digital transformation that is required across government. Our plans on this front will be described in more detail in our Digital Strategy, which will be published later this year. All that’s left to say is, go try out GOV.UK and tell us what you think – as many of you already have done while we have been creating it. We look forward to hearing your views. Can I have the £70m it saves? See you are still printing the old web address on vehicle application forms I thought this site was a fraud you MUST advise customers of the change !!!!!!!!!!!!!!!! I'm incredibly disappointed with what I've seen so far of Gov.UK. I'm a Citizens Advice Bureau adviser, and had been building a list of weblinks for advisers which included a large number to the very excellent Directgov. This was information which was accessible and clear for clients, had good overviews and contents pages so you were immediately pointed in the right direction, and was accurate. Now the entry pages contain lists rather than an overview. Sometimes the lists are alphabetical - and sometimes they work, providing you already know the terminology you're after. In many cases they leave you guessing, and having to hope you're going in the right direction. The real test is the benefits section, as people often have no idea what they are looking for because they haven't had to claim before. The Entitlement section says it will tell you how to claim. I couldn't find links to that without diverting and using the Search box for the individual benefits (or maybe going through the whole entitlement questionnaire, which I didn't want to do). The Jobseeker's Allowance and Low-Income Benefits link says it includes Disability Living Allowance. It doesn't - and in any case DLA isn't a low-income benefit. Nor is JSA when entitlement is through national insurance contributions. The first level appeals page doesn't mention Jobcentre/DWP benefits, so you have no idea if you are on the right page. It then takes you through steps you may well not want before you can find the link to the form. Some benefits information now seems to be under Working rather than Benefits. The Business Link replacement is also really hard to find your way around. The old home page was clear in what the coverage was. The new one contains a mystery alphabetical (sometimes) list with no overview at all, and very little logic to the order. Can you broadcast the existence of the new gov.uk site more widely please. ? I was presented with the site via google when looking to book my son's practical driving test, and my first instinct was that what I was seeing was a scam site masquerating as directgov. It took a deal of wandering through the site before I became convinced that it was the real deal (the article from Francis Maude clinched it). The move to a far simpler layout, while improving clarity, also leaves tyhe beholder with a troubling feeling that the site is "homebuilt". I agree with James Ritchie, - i landed on gov.uk while applying for car tax. The url on the form was http://www.direct.gov.uk/taxdisc. I get redirected to gov.uk without a message, and i land on a page that looks like i had gone back 10 years. it took me a bit of trolling the websites and a google search to convince me the site had not been hacked! and was actually the government. This is because the design of the website is so poor. I have always been proud of government services online in the UK, When I've had to use websites from the US Govenment ive always thought "well that really is one thing we do well in the uk, web design" but this is the most poorly designed site i have seen in a long time. Whether its functional or not it design is an embarrassment to this country. I just cant believe people from abroad may find this site when looking for UK information and they will think this represents websites in the UK. We really do have fantastic websites in this country, we are a global leader, but this website shows the worl none of that. Its truly horrific! gov.uk better than its predecessor? It reminds me of websites back in the 90s when anyone could build a website in a text editor - no matter how bad it looked. I think it looks like what it is, a badly designed site, with little in the way of images, and built for cost rather than design or ease of use. Have you tried to find anything on the new site that isn't linked to the home page? 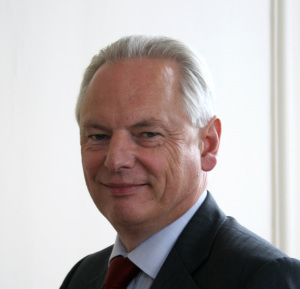 Francis Maude, own up, it's about saving money not about the citizen. Oh dear Harry, I don't mean to patronise but have you read anything about how gov.uk was developed? The team have lived and breathed user-centred design from the start. If anything reflects the way people think and behave on the web it's this site and how it answers the multifarious needs of the British population. Rather than making political points/swiping at Mr. Maude, perhaps you might tell us what you couldn't find, what tasks weren't supported? Did you use the search box? How did it respond? This information architecture and design is a triumph and particularly innovative. That it's come from 'government' is hugely encouraging and demonstrative of the people-centred work being done at the heart of the UK's digital industry. I'm sorry but I think that's exactly what you do mean to do. I'm entitled to my opinion as well as you and have made it. I still think that gov.uk is a huge step backwards. Where is the government web site for grown-ups? The whole of “gov.uk” is obviously designed for primary school children and those with special educational needs. Perhaps the intention is to treat every taxpaying citizen as if they are as intellectually challenged as the fools who signed off on this ridiculous waste of public money? Or is it actually an exercise in re-establishing secret government? Either way it is an insult to the concept of open democratic and accountable government. I only heard about business link and the service it provided on Monday this week. I briefly looked at the site yesterday and couldn't find exactly what it was I was looking for in terms of advice for a new starter. Today I came back to find it no longer existed and a new site was in it's place. I do believe that the platform is going to be better, the design and format is very pleasing, and the move to responsive development shows an investment in the future. However, I would have liked to have seen some kind of information on changes, I imagine that many people will have bookmarks on various pages and even with the tens of thousands of redirects that have been put in place, you can't guarantee what the visitor is going to think when they come to a page they have never seen before. I'm also disappointed in the use of images with text in them that doesn't help people who disable images for bandwidth reasons or any other limitation. I know there is text hidden behind but that's not truly accessible. It's a great job and I look forward to seeing what other services come onboard next. Thanks for the kind words about the new site; it's been designed to be focused on the needs of the users, and we hope the business information really helps you. Please feedback any more comments! We're also making sure that old links do not lead to an empty page. If someone has bookmarked a page on Business Link, it will redirect users to a page on GOV.UK. In most cases, this will take a user directly to the information they are expecting to see. It's worth reading our blog post on the rationale for the changes to business information, http://digital.cabinetoffice.gov.uk/2012/10/16/meeting-the-needs-of-businesses/. And sorry to hear that you only found out about the business information available from Government two days ago! All registered users of Business Link were notified by email of the changes, and we also ran top stories on the homepage of Business Link with the details. If you're just starting up your business, we'd recommend checking out the Business in You campaign from the Government, http://businessinyou.bis.gov.uk/, which supports start-ups and growing businesses with all the practical help, advice and support they might need. But the "find advice" page on the businessinyou website just points back to the gov.uk website again. Where's the "all the practical help, advice and support" that you say is there which is your idea of the replacement of the valuable advice and information on the defunct Business Link website???? ?